It's been a long while since I wrote in this blog. In fact, two years went by and my gaming time suffered some changes. Some players left, others joined. In fact, for a full year now, I have been playing King Arthur Pendragon 5.1 by Greg Stafford, of Glorantha fame. So far, this has been the most I have played the same game for any stretch of time. For those who don't know (and if you don't know, shame on you! 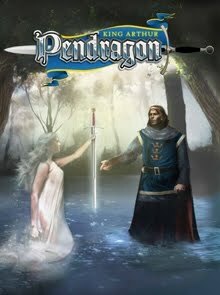 ), King Arthur Pendragon, or KAP from now on, is a game about the Arthurian mythos, primarily based on Le Morte d'Arthur by Thomas Mallory but also drawing from a number of other sources, mashing the many legends and tales about Arthur and the Knights of the Round Table in a mostly coherent whole. As you have already guessed by the name, this is version 5 of the game, first published in 1981. In fact, this new version (5.1) is version 5 with corrected typos and errata added. 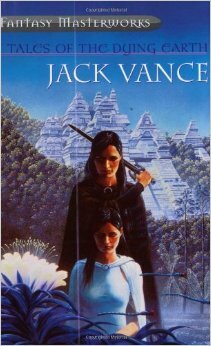 And this version is set in the years of Uther Pendragon, father of Arthur, allowing the players and GM to play the years before Arthur draws the sword from the stone. This can be somewhat misleading, and disappointing, if you are expecting to play a game about King Arthur and his knights. In fact, as written, the game only allows the creation of knights from Salisbury in the year 485 AD (Arthur only draws the sword from the stone in year 509 AD), but by setting the game in this era, the knights can witness, and be an active part in, the prehistory of the Arthurian mythos (Uther conquers Cornwal, Uther beds Ygraine, Merlin takes the baby, Uther dies, etc.). As I understand, earlier version of the game were set in 530 AD which is the era commonly associated with knightly adventures in Arthur's court and enchanted tales of damsels in distress and magic fairies in the woods. What drew me to the game was simply its mechanics (being a great fan of Arthurian lore helps). This is one of those few games where mechanics are so wedded to the source material that you dissociate one from the other. Many elements contribute to this: for instance, the skill list is focused on knights with skills such as Falconry, Courtesy, Battle and Lance (you won't find here stealth skills or sorcery skills). However, the central element are the paired traits. There are 13 pairs of opposed traits such as Merciful/Cruel, Chaste Lustful or Pious/Worldly. Although a knight has many personality traits worth playing, these are the ones that most define his behavior. And by sometimes allowing the traits to control the actions of the characters, even those players who never picked up a book about King Arthur or saw the movie Excalibur can follow the genre conventions. How? The sum of each pair is 20. So a knight with Chaste 13, has Lustful 7. If Chaste raises to 14, Lustful drops to 6. When a situation occurs that would trigger a certain type of behavior falling under the purview of one those paired traits, the characters is allowed to roll to see how he behaves. Most of the times, the players just behaves however he thinks his character would and he earns a check in a trait (more on these later). Sometimes, the GM deems the situation important to ask a player to roll a d20. Let's suppose it's a choice between being Chaste 13 or Lustful 7 (either you resist temptation or go to bed with the daughter of the castle's steward). If the player rolls equal or under Chaste, he acts in a most chaste manner. If he fails his Chaste roll, he immediately rolls his Lustful 7. If he rolls equal to or under Lustful, he must behave in a Lustful manner. Whatever was successful, receives a check, which means that by the end of the session, there's a chance to improve whatever traits or skills were checked (if you know the Call of Cthulhu system, of which KAP is an adaptation, you know what I mean). It's a generational game. Sessions are played in years, not in weeks or months. Roughly, each sessions is about 1 game year, ending with a Winter Phase (see below). Since the game is played in years, and the campaign extends from year 485 AD to year 566 AD, when Arthur dies, you are expected to play your character, his son and probably his grandson. This lends an epic feel to the game as family is more important than a single character. And believe me, when years pass and you don't have a male heir, players will start to fret. The Winter Phase is where you improve your skills, compute your Glory (a sort of reputation) and apply modifiers by getting older. By setting this roughly at the end of each session, you can visibly see the evolution of your character as he grows older, marries, has children, improves his skills and becomes a well-known knight of Britain. The Great Pendragon Campaign, this is a MUST HAVE. You don't have to buy it to play a good campaign of KAP, but it provides a roll of years, and adventure upon adventure from the time of Uther to the death of Arthur, touching upon all the milestones of the Arthurian mythos: the drawing of the sword, the coronation of Arthur, the wedding of Arthur, the conquest of Rome, and the Battle of Camlann. It's a sort of meta-plot to end all meta-plots and one that does not force you to play it to have fun (I'll post more about this campaign later). I love this game to bits. The players love this game. But don't take my word for it, go get it NOW and play it. You won't play rogues or sorcerers, elves or dwarves, but knights of Britain in the time of King Arthur. To some, this laser-focus is a drawback. To me, it facilitates how to present the game to the players, narrows their choices (how many game present so many choices the player agonize for days) and sets a clear starting point for a campaign. This is rightly called a classic. My only regret is having taken so long to start playing it.